Jiangxi Province, China. This local had a lot of luck when his car almost sunk into one smaller sinkhole. 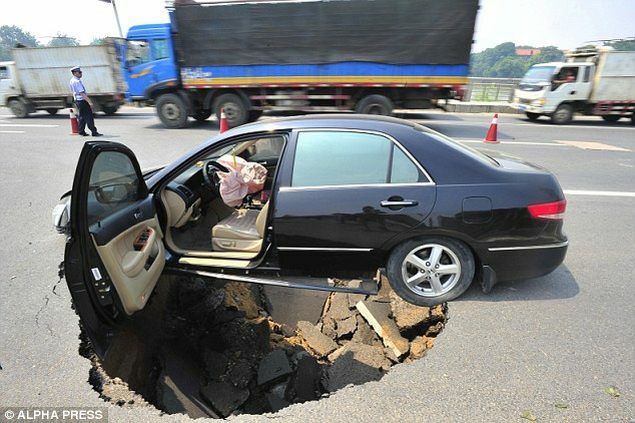 The 13-feet wide sinkhole suddenly appeared on highway near Nanchang City in front of him and his car was trapped on the top of it. He managed to escape without injuries. 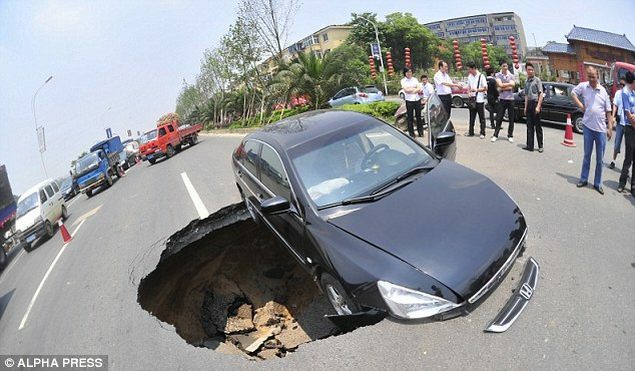 This is not the first case of appearance of such sinkhole, more than 30 similar sinkholes have been found in Jiangxi Province in last two months. Sinkholes may be caused by heavy rains and underground waters.